Tonight is the first night of Hanukkah. Chag sameach! We give gifts to our kids each night. 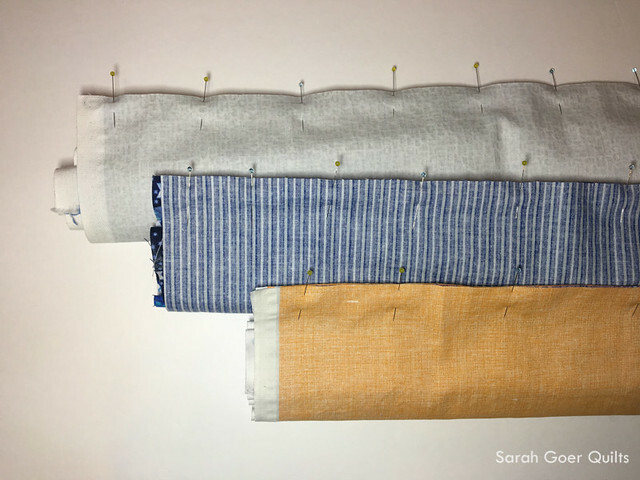 I have paper gift bags that I reuse each year, but I've been wanting to make reusable fabric gift bags that would last even longer. I was planning to make Jeni Baker's Lined Drawstring Bags that I mentioned in my gift ideas post. I've made them many times and they are fabulous! 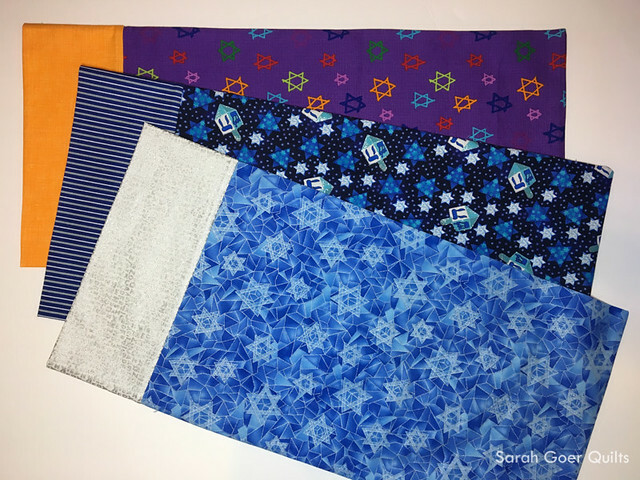 But after making the pillowcase using the magical burrito method last week, I decided it would be faster and easier to make pillowcase-style gift bags. The gifts I have for the kids are mostly small, so I opted for a miniature-size pillowcase. I used a fat quarter of the main fabric and a 22" x 8" strip for the cuff. This ended up making long skinny bags, but they will work. I worried that a narrower piece of fabric for the cuff would have made it challenging to make the burrito. You can see in my first couple pictures that the burritos are pretty full. Here's a peek of the inside where you can see the purple fabric folded up in the orange burrito. To see the full magic of the process, be sure to watch Crafty Gemini's video tutorial. And here are my finished pillowcase-style gift bags. They aren't identical in size, but they are each about 9 1/2" x 20". I think I will make fabric ties to tack onto the bags so they can easily be tied closed (and we won't lose the ties). 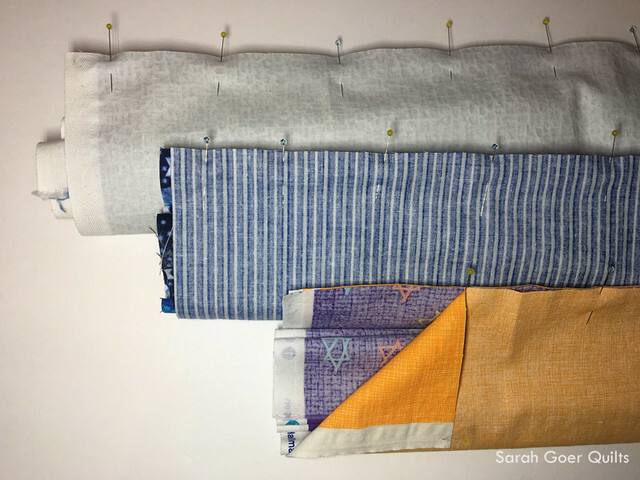 Posted in Quilting on December 12, 2017 by sarah. I have made a collection of holiday fabric bags to use each year to wrap gifts. It really cuts down on wasted paper. Adding a few bags each year is easy and keeps the collection growing or replaces those that might go home with the gift recipient. Thank you, Bernie. I'm going to try to add a couple larger ones for Friday night's gifts. We'll see if I can make that happen. Happy Hanukkah. Great gift bags. I like the idea of ties.